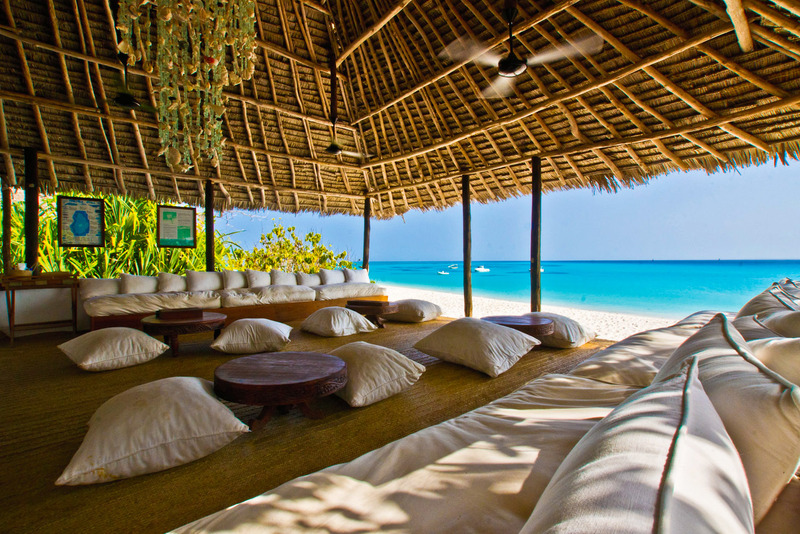 Mnemba Island Lodge in Zanzibar, Tanzania. Ranked #63 in our countdown of the 100 Best Hotels and Resorts in the World. No more than 20 guests on this paradise island just off the coast of Zanzibar. With an exotic blend of Arabic, Indian and African culture, it’s ridiculously exclusive and crazy-beautiful. Punctuating the turquoise shoreline are ten spacious, castaway-chic bandas with thatched twig roofs, draping sheer netting, pearled-shell chandeliers and plump sunbeds for dozing. Fresh seafood is served to romantically-lit tables on the sand overlooking the Indian Ocean. Snorkel in the reef that surrounds the island to catch a glimpse of the underwater wonderland. Adventurous types can kayak, windsurf or take a chartered boat for deep-sea fishing. Everyone else can daydream as the wind whispers in the casuarinas. Did you know In 1840 the Sultan of Oman moved his capital from Muscat on the Arabian Peninsula to Zanzibar’s main centre Stone Town in Africa.